As a company that chose to follow its ambitions by the seaside, we have been fascinated with BBC Breakfast’s focus on life in Coastal Britain this week. The series revealed a great deal of love for the coast, both by people who live there and by those who only get to visit occasionally – and we can only agree! Study after study has confirmed the benefits of living by the sea, both for your physical health and your mental wellbeing. This can be attributed at least partly to the opportunities living by the coast provides. For instance, you’ll find Springers in the sea before work, at lunchtimes and after work for at least four months of the year, and the beach is a great place for relaxing, working out and the occasional meeting. It’s also a constant source of inspiration – a vital commodity in a creative agency. The lifestyle is different too – it’s very easy to find solitude and peace at the coast; being able to get away from the continuous roar of traffic and glare of artificial lights. There is a rising trend for young, talented people to move to the coast, shunning the over priced, over pressured life of the big cities for somewhere that has all round benefits. On Friday the BBC spoke with designer Wayne Hemingway about the future of coastal towns. 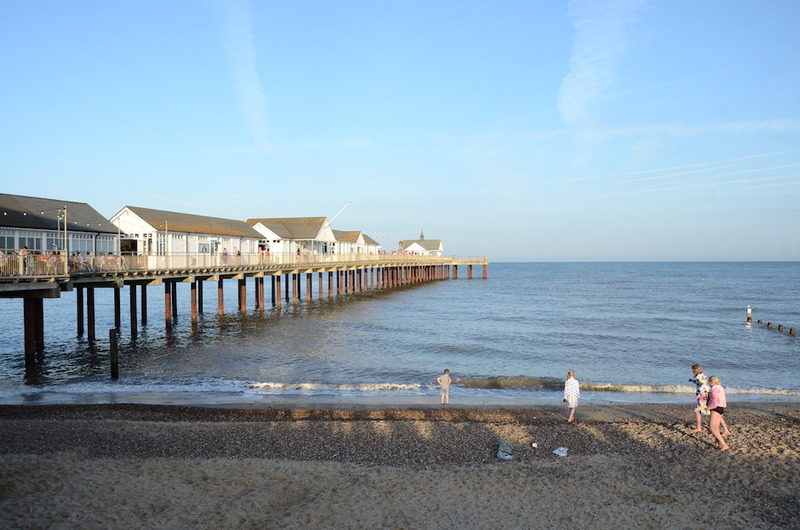 His company, Hemingway Design, known for the rejuvenation of Margate, has been brought in to consult on a regeneration project for Lowestoft’s South Beach area, just ten miles north of Southwold. Spring designer Lynton Wall-Palmer met with him earlier in the year when Hemingway was in town to address business leaders and community groups. “Lowestoft has great potential and there are things we can improve without spending a lot of money,” Hemmingway said. We came across the same barriers when setting up Spring, but over nearly eleven years we, along with many other businesses have changed opinions. It is possible to run a successful business by the sea – and enjoy the benefits. We’re always looking for fresh talent. So if you’re interested in working for Spring and enjoying some of the benefits of the seaside, please get in touch here.